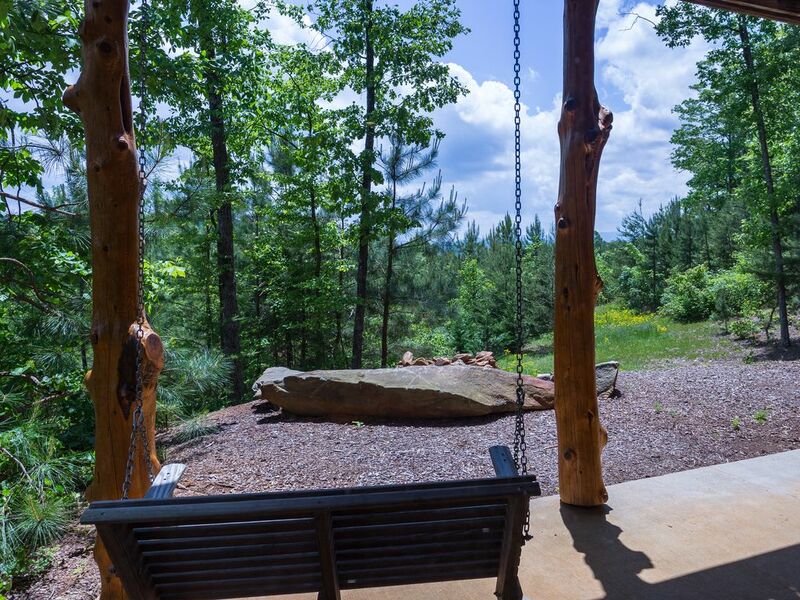 Surround yourself with peace and sweeping tree-lined views when you book your stay at this family-friendly Mineral Bluff home. This home offers deluxe amenities like a private hot tub, an elegant jetted tub in the master bathroom, a billiards table, and an outdoor firepit! With its location in a quiet neighborhood, you'll be just a short drive from hiking trails, secret fishing spots, and shopping options. This getaway truly has it all with vaulted, wood-beamed ceilings and crafted accents throughout the home. Offering a private washer/dryer, cable, DVD player, free WiFi, and plenty of space, you may never want to leave. Make a hearty meal in the gourmet kitchen or out on the gas BBQ, then kick back on the deck and enjoy the views. Enjoy a soak in the hot tub, then play a game of pool on the billiards table. Treat yourself to a stress-free vacation when you book this family-friendly Blue Ridge gem. The cabin was great nice and clean and not too far off the main road. Me and the family will definitely stay again. It was an amazing cabin and a beautiful view! !